If you're unhappy about how Google's Gmail or Microsoft's Outlook is handling your email and displaying your electronic calendar, Amazon is offering another option for corporate users called WorkMail. Citing alleged customer complaints that existing solutions are often expensive and complex, Amazon is focusing on simplicity and security as WorkMail's selling points. Rather than forcing users to use a new web app or replacing a familiar desktop program like Microsoft's Outlook, WorkMail is a service that you can use with your favorite email app. WorkMail will deliver your emails to your company's preferred email app. WorkMail emails are encrypted and sent through Amazon's servers. With email encryption, Amazon will give companies using its email services the decryption keys for their corporate emails. Emails will only be stored on servers in specific geographic areas for added security. WorkMail is priced at $4 (£2.64 or AUD$5.05) per email account per month. While the pricing is competitive with Google Apps for Work and Microsoft Office 365, Amazon's rivals offer more, including online tools for word processing, creating spreadsheets, and collaborating on presentations. Email is only part of the equation for many businesses, and WorkMail may not offer a complete solutions for intra-office communications. Through Hangouts and Skype, both Google and Microsoft offer similar solutions for chatting, calling, and video conferencing to extend communications. Business-centric messaging apps like HipChat, Slack, and Yammer bring real-time messaging and collaboration, things that may be more difficult to achieve with email. At this time, Google has not announced tools for collaboration and messaging beyond email through its WorkMail service. 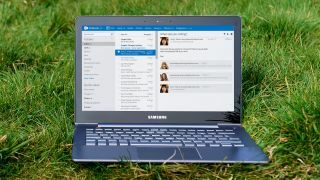 These are the five best email clients for Windows.